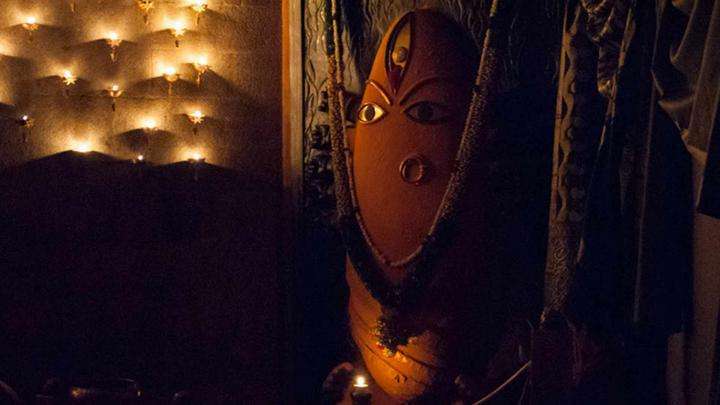 On this Spot, Sadhguru discloses who his Ishta Devata, the deity of his choice, is. Let us say this much: it is not who you think. 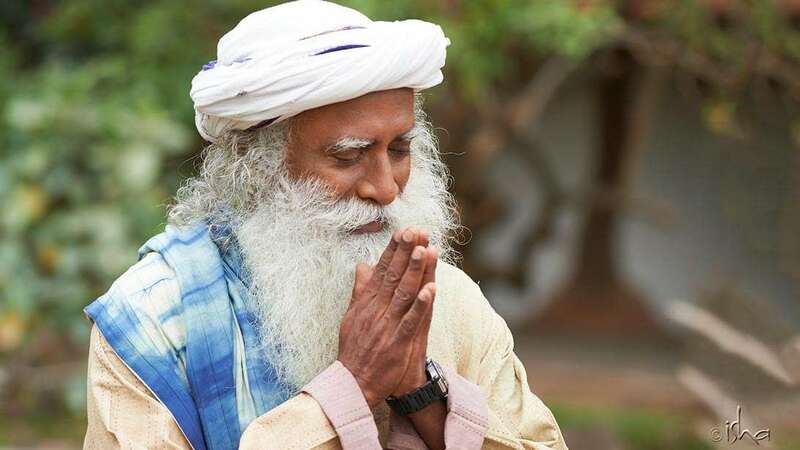 While throwing light on devotion in its many facets, Sadhguru describes his approach by saying, “Devotion means involvement with no limits, prejudice, and conditions.” Sadhguru also observes that in his experiences, true leadership is a consequence of devotion, and he concludes by defining himself. 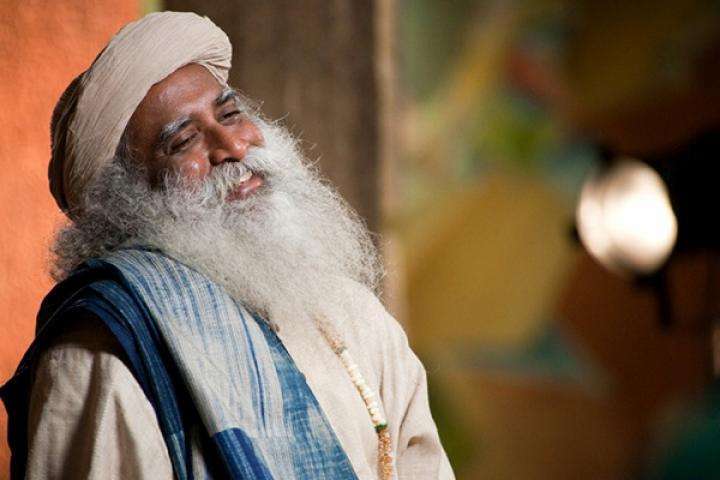 The other day, someone asked me, “Sadhguru, who is your Ishta Devata? Are you a Shiva devotee?” I told them, “Have you ever seen me sitting in front of Shiva doing pooja? I’m spending all my time with fools like you! So what do you think, whom am I devoted to – you or Shiva? My entire life is devoted to all of you!” Whoever or whatever is in front of me at any given moment is my Ishta Devata. This is my way of life – I pay absolute attention to whoever is with me right now. No matter who you are or what you are, I give myself totally. This keeps me at the highest level of emotion and focus, and makes me who I am. Whoever or whatever is in front of me at any given moment is my Ishta Devata. This is something I want everyone to understand: Your devotion is not doing anything to your deity – it is transforming you. If you do not know how to use your devotion to transform you, it becomes deceptive. If you look at things as high and low, superior and inferior, good and bad, you have not tasted the Divine. Don’t look up to anything – don’t look down on anything. If you pay absolute attention to everything, you will see something tremendous in everything. If I see an ant, that ant is my Ishta Devata at that moment. To me, leadership is Bhakti Yoga. If you are devoted to creating what you think is the highest, you are a devotee. Unless you are devoted to what you are doing, you will not do anything significant in life. This applies to every area of activity, whether it is business, industry, art, sport, spiritual process, or something else. As Swami Vivekananda said, “You will be nearer to Heaven through football than through the study of the Gita.” You can pray without involvement, but you cannot play without involvement. Unless you put everything into it, the ball will not go where you want it to go. Your devotion is not doing anything to your deity – it is transforming you. Devotion is a tool to dissolve yourself into what you are doing. This is a way to access intelligence and insight well beyond your normal intellect. You will see things that others would never be able to see. Devotion is not only about going to the temple, breaking coconuts, or doing pooja. Devotion means involvement with no limits, prejudice, and conditions. Who you are dissolves in your activity, as if you are not there. That is when you are a true leader. That is when you are a true devotee. If you look at great devotees in the Indian tradition, such as Ramakrishna Paramahamsa, Mirabai, the Nayanmars of southern India, and so many others – they were not even interested in anything around them. They were totally devoted to their deity. Their devotion led to such a state of dissolution that people naturally followed them. A true leader does not intend to be one – people anyway gather, because he or she has a certain quality. Devotion and leadership are synonymous, in my experience. People think I’m a leader. But in truth, I’m a devotee. Being an Isha...We have a huge responsibility...With your grace...May we continue to stay on course...Shambho..
Dissolve into Devotion = a very full life. 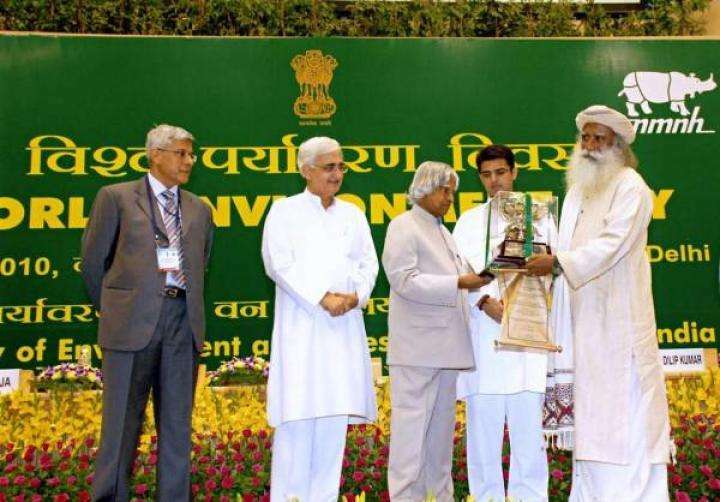 Wonderful Sadhguru! I want the entire leadership in the world to think like this! Let's hope it will happen soon! !